Marshalls - Oxford and Newbury based independent Chartered Surveyors. Marshall's Chartered Surveyors are independent Chartered Surveyors and RICS Registered Valuers with offices in Oxford and Newbury. Established in Abingdon in 1979, Marshall's are celebrating their 40th anniversary this year by continuing to provide top quality surveying, valuation and other professional services in Oxfordshire, West Berkshire and the adjoining areas of Hampshire, Buckinghamshire, Gloucestershire and The Cotswolds. Our Chartered Surveyors are friendly, highly qualified professionals, experienced in all property types. We provide independent, common sense reports, written in plain English by highly experienced Chartered Surveyors who are also all RICS Registered Valuers. By their nature, surveys tend to be negative and we like to talk to our clients - we are always here to help. We offer surveys suitable for all types, sizes and ages of residential property. Our surveyors, who are all locally based, also undertake a wide range of valuations, including Shared Ownership and Help to Buy (Target HCA). 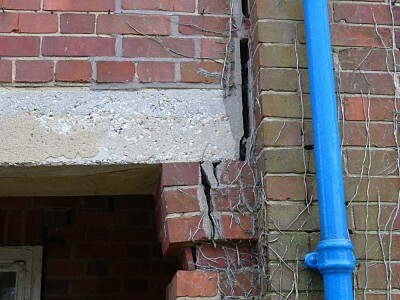 We also have specialist surveyors offering offer a full range of other professional services, including commercial dilapidations work, party wall awards and leasehold enfranchisement. Whether youre buying a studio flat, a small semi, a three bed bungalow or a manor house, we can help. You probably won't instruct many surveyors, so use the best - Marshalls. We carefully undertake Building Surveys and HomeBuyer Reports on all sizes and types of houses, apartments and flats. We also undertake snagging reports on new property. We are RICS Registered Valuers, highly experienced in the local property market, undertaking residential 'Red Book' valuation instructions for all purposes, including Shared Ownership and Help to Buy (Target HCA). Established forty years ago in 1979, we have built-up extensive local knowledge and experience of all types of construction and buildings. You can be confident that we are the experts in our field. We undertake a full range of commercial services, including commercial surveys, schedules of condition and dilapidations. If you have received party wall notices or are undertaking building works, we can help. We offer a full range of specialist Party Wall services, working for both building and adjoining property owners. A residential property may be very difficult to sell or mortgage with a short lease and you may need to consider an extension or possibly a freehold purchase. We can give comprehensive advice, including representation at Tribunal, if needed. Useful advice on various survey, valuation and general property matters. From asbestos and bats through to damp, toxic mould and woodworm. We have offices in Oxford (01865-863020) and Newbury (01635-529777). © 1998 - 2019 Marshalls Chartered Surveyors (Oxford & Newbury). Marshalls Chartered Surveyors are Regulated by RICS and are RICS Registered Valuers.